It has been awhile since I posted a comment but I noticed that a new treadmill Manufacturer is not listed here. 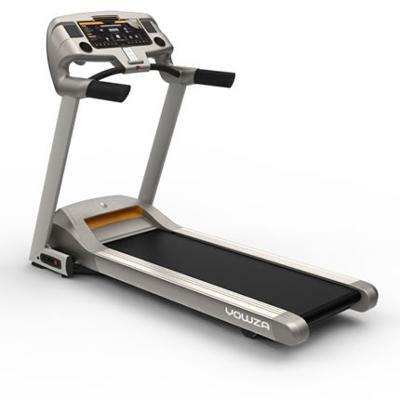 The name of this brand is called "Yowza Fitness" and they make treadmills and ellipticals. It was founded by someone who used to be with "Smooth Treadmills" but he had left the company to start his own fitness manufacturing due to differences in marketing and manufacturing. They post many of their units online to elimate expensive cost since most treadmill brands cost alot if you visit a Department store a specialized fitness store that sells fitness equipment such as treadmills and ellipticals. Anyways I had written the worst treadmill I owned here @ Treadmill tips and now I am commenting on the best one I own. I had owned a Keysfitness A7T Folding Treadmill and I have to say that I am very disappointed about them. I had the unit since 2007 and started having problems around 2009 in which the company went bankrupt. I spent alot of money and time to troubleshoot that unit and it made me worry since this was a family treadmill @ home since I had older members who can get injured. I had given that unit away and found this treadmill called the Yowza Keewadin online. I had purchased it August 2011 and I have to tell you it was more stable, comfortable and durable than the Keysfitness A7t. Customer service was excellent compared to KeysFitness too. I used to buy made in USA and Keysftiness did not represent good quality Made in USA treadmill. The Yowza treadmill though is Made in Tawain which I notice seems much more durable than my Made in USA KeysFitness. It also cost less than a Landice, Pacemaster or a Sole Treadmill which was what I was about to buy. I did not buy a Nordictrack even though it was US made because I read technical support service was terrible. Anyways I hope one looks up about Yowza Fitness since they are new to the market but their treadmills are good quality.